Will go quickly! This well maintained home with fresh paint and new flooring in Kitchen and Baths is a must see! New Roof installed in 2016, Low taxes and NO HOA! This home features a split bedroom floor plan with an eat-in kitchen and a large laundry room/mudroom. You'll enjoy the fenced in yard this Spring, which backs up to a wooded lot and features a Huge Deck that has been freshly painted, an attached storage area AND a Huge detached Storage Building. Playground and Refrigerator to stay. 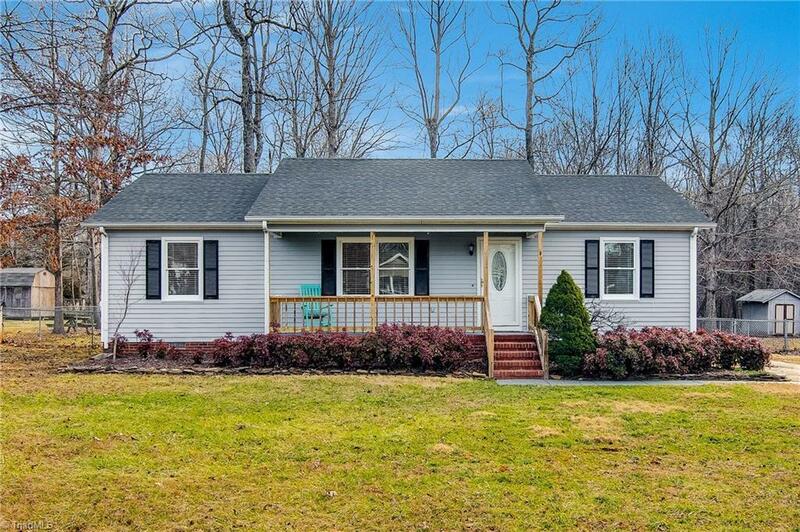 Fixture Exception Description: Seller Will Remove Maple Tree Located In Front Yard Flower Bed; Facing The Home, To The Left Of The Front Porch. Courtesy of Pickering & Company Inc.